In the beginning, I started with small goals. Baby steps. Aim small, miss small. Prior to entering the ministry full-time, I remember reading the famous statistic of youth pastors only lasting 1.5 years. Small goals meet Jeff the youth pastor. There you have it; my first goal was to not get fired before the 18 month mark. Talk about setting the bar high. I can even remember reading Your First Two Years in Youth Ministry hoping I could make it past the time frame on the front cover. I’m guessing that was not Doug Fields’ intention for the book. So, after the 18 month point was reached, I hosted a little party in my mind. It’s cheaper that way, although there’s no cake…mmmmm cake…And I’m back. My next ministry goal was a decade of youth ministry. Now, keep in mind, for any of this to happen, it would only be possible through God’s grace and a ginormous amount of prayer. Well, by God’s grace, many prayers, and the prayers of many, this past summer I reached ten years of full-time youth ministry. There is no possible way I could list all the lessons God taught me. In fact, this list is simply the first 10 lessons that came to mind, which tells me they were among the most impactful lessons that I learned over the years. So take a sip of your coffee, Red Bull, or milkshake and buckle up for this decade bumpy ride through youth ministry. 1. Parents are Your Friends. A common rookie mistake, and although I didn’t see parents as the enemy, it took me a long time to see them allies. What a difference the support of parents can make in all aspects of youth ministry. When trust is built between the youth ministry and the parents, there is so much more that can be done for God’s glory, and so much less that can be done by the enemy. Mistakes can be made that are covered by forgiveness and grace by both the parents and youth leadership. Spiritual growth in the students becomes a team effort. Any new youth position should start here, establishing relationships with parents. 2. Just Say No To Lock-Ins. One of the first questions I received from my students as I entered my new position, “Do you do lock-ins?” I let them down gently. Sure, there is nothing wrong with hosting an all-night event at your church. But for me, I feel like other events can accomplish what a lock-in can, only we can go home and sleep in our own beds, not be exhausted on Sunday, and not get a migraine for the next 48 hours. In fact, I take it a step further. I rarely host an event on a Saturday night. I found many teens would use it as an excuse to not attend Sunday. All these things combined just left me to the conclusion of saying no thank you to all-nighters. I’ve been lock-in free for 6 years now, and I haven’t had any cravings since. 3. Leave Them Wanting More. This takes some experimenting and an understanding of your current group makeup. You never want to be unprepared for a youth event, where you are left with a large amount of free time (see #2). Cut the event or program to a point where the student has a disappointed look when their parents show up. Leave them wanting more, rather than the alternative of wishing the event was over two hours ago. Lessons can be this way as well. If you are lecturing over an hour, chances are you are not following this mantra. 4. Jesus Had Disciples And You Should Too. Discipleship. A priority in the Scriptures, and should be a priority in your ministry. Beginning with the relationship of God and Adam to the discipleship between Paul & Timothy, the Bible places a priority of discipleship in Scripture. Just look at the time Jesus spent individually teaching His disciples. This needs to happen in our youth ministries. Begin by introducing to your leaders the importance of discipleships. Then, train them how to accomplish it. Finally, give them opportunities to disciple teens and be a bigger part of their lives. 5. Build a Mentoring & Intergenerational Culture. Similar to #4, but allow this model to spill into every corner of the church. Begin training and encouraging other adults to engage teens in mentoring. Sure, you have to be careful these relationships are appropriate and safe, but you must allow for mentoring to happen among the generations. Don’t stop there. Build into your ministry opportunities for generations to interact and serve with each other. Purposely invite adult small groups to youth projects. Serve the elderly at a lunch and then sit the teens with them. Invite guest speakers in to engage teens in their area of expertise. This culture doesn’t build itself. Oftentimes, it is a brick by brick process, beginning with a conversation with leadership. Then, upon permission and buy-in, you get to work. 6. There Is No “I” In Team, But You Do Need Leaders. You must build a team of leaders. Ideally, you want your team of leaders to be from all walks of life. Older couples to provide wisdom and insight. Younger couples to provide a bridge of adult life and adolescence. Young adults to provide energy and vitality to the group. Once you have built your team, training and developing your team must be a priority. Teach them how to disciple, keep issues of teen culture in front of them, and provide ways for them to invest in the lives of students. 7. Life, Would You Like Accountability With That? I remember my seminary professor of counseling telling me “Those behind the desk are just one choice away from being on the other side”. You are not immune to the fall. Don’t be that naïve to think that you are not susceptible to the temptations of the enemy. Pride, sexual sins, laziness, and many more sins are waiting for you at every turn. You must have accountability in your life that is willing to get in your face when you are out of line, and willing to put their arm around you in prayer when you are in a battle. 8. People Are More Important Than Your To-Do List. My candy store? The office supply store. I admit, I have a pen problem. But moving past that, when I get my planner in the mail, it is like Christmas day. Nope, I’m not like the stereotypical youth pastor. I love to plan ahead, make lists for the week, and schedule out my day. Sure, that’s a positive. Being organized and getting things done orderly and on time is important. However, the flip side is when this is prioritized over relationship-building opportunities. The hour long text message with a teen struggling with a break-up. A visit to a lunchroom to the student that didn’t make the team. The hospital visit to the nervous teen before surgery. These weren’t in your planner a few days ago, but they are a priority now. Don’t let your tasks get in the way of the need to minister in the here and now. 9. Where Is Everyone? Have you ever uttered those hurtful words? I have on more than one occasion let these 3 words slip. One Wednesday night, I planned out this “incredible” whiffle ball home run derby. I marked out the gym, bought all the materials, placed out the bases, and one teenager showed up. Guess who won the derby? Those are the nights you ask, where is everyone? But, you have to resist the temptation to wish more people would come. In those moments, focus on the teens that did show up. Sure, you want to build your group, and those efforts need to be there. But after those efforts and the event, teaching time, or small group starts, that is the time to concentrate on hearts not on numbers. 10. Service with a Smile. One of the most common reasons for teens leaving the church is their lack of connection to the church. How do we connect them? Service. Each teen in your youth ministry needs to find a place where they can serve. This will take some creativity. Sure, the common place is children’s ministry. But don’t stop there. Not every teen likes to work with kids. I’ve had some teens work on building projects, be part of the welcome team, work a camera during the service, or start a drama team. The sky is the limit, but the key is to help them find a place where they can use their God-given gifts in the church. 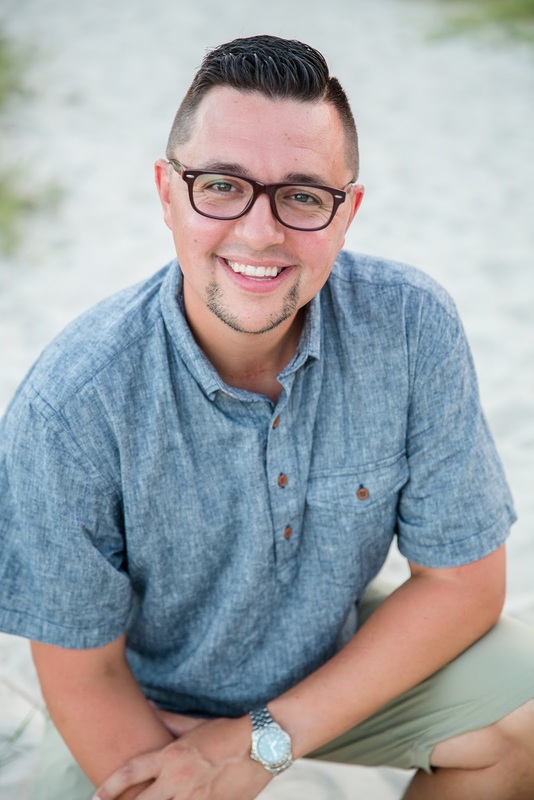 Jeff Beckley serves as the Youth & Family Pastor in Columbus, Ohio. Jeff has been serving in youth ministry for over a decade. He and his wife, Shannon, have 4 children. Jeff enjoys writing, and over the years has written youth curriculum and Christian magazine articles. He recently released his first book, a teen and young adult devotional called Bottom Line Devotional. The website for the book is www.bottomlinedevotional.com. 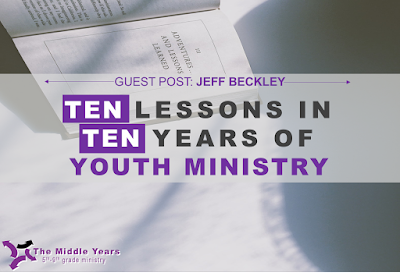 His blog www.JeffBeckley.org serves as a tool and resource for youth ministries across the globe.